Experiencing the effects of taking what was a traditional marketing campaign into a complete digital approach can be rewarding. As with all marketing campaigns, there are challenges that you will face and overcome along the way. With ORR Protection Systems, up until a few years ago, most of their marketing was done in a traditional sense. From mailing promotions to phone calls, it was time to transform a massive traditionally focused marketing plan into a digitally automated engine. More specifically, turning a major national education seminar series into a fully digital process via the Inbound methodology. Who is ORR Protection Systems? Surpassing 46 years in existence, ORR Protection has grown to be the nation’s largest privately owned safety and fire protection company in the country. Some of the largest and most successful companies in the world trust ORR to protect their mission critical business processes from failure due to fire. In fact, over 65% of the Fortune 100 companies use ORR. 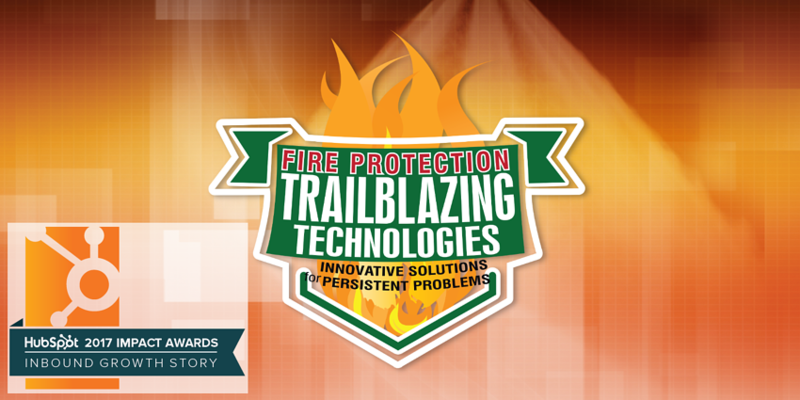 "Trailblazing Technologies Fire Protection Seminar Series"
ORR Protection Systems’ annual seminar series is the largest single marketing campaign the company puts on every year. Focused on educating those within the industry, the complimentary series spends close to 6 months of the year traveling across the nation, attracting a large amount of attention from leaders across the industry. In 2014, ORR's internal team introduced digital marketing into the promotional strategy for this already successful series, proving to be a key driver in the initial increase of overall attendance and interaction. Before the 2016 series, growth for registration and attendance had plateaued, with disjointed cross-channel promotion and technology elements playing a key role. In 2016 and with the help of Revenue River, ORR Protection saw these numbers begin to rise, from overall registration to attendance and qualified attendees, and there was a revived sense of success after all was said and done. The traditional approach soon became a thought of the past, as ORR began to see year-round success from going completely digital in the approach to their major marketing campaigns. 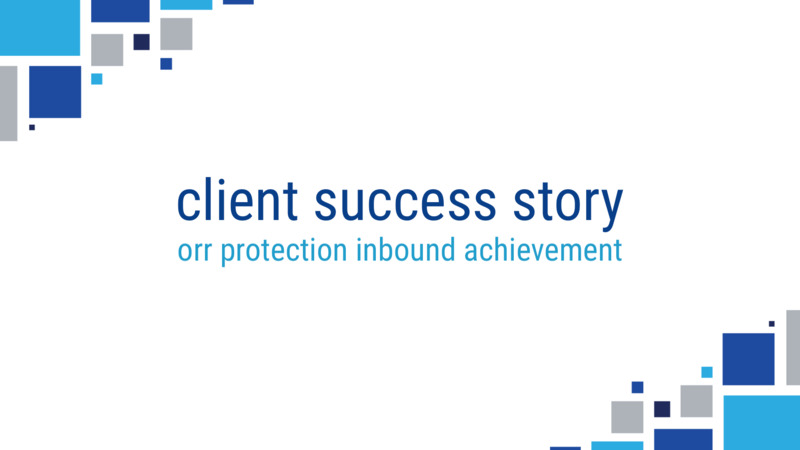 Before 2014, ORR Protection built their marketing campaigns off of mostly traditional efforts. Email marketing was a reliant piece, but most of their campaigns revolved around print marketing and mailers. Their reporting, specifically for seminar series' before 2014 was built primarily off a consistent database of previous registrants, attendees, and customers that understood the impact of the seminars. The problem lied with a lack of organic growth and modern reporting and marketing automation techniques. With such a high profile event that had positive feedback radiating from the people that attend consistently, you can imagine the response infusing a full inbound system might produce. It was time to change, and ORR recognized the need to grow and how inbound marketing was a perfect choice to get them there. One of the big changes was pre-qualifying people through online registration. That's changed the whole game, allowing us to go into seminars with an idea of who's attending, and what their needs are so our team is prepared. The Seminar Series "Gone Digital"
ORR Protection and their entire digital infrastructure lie with its website. With so much focus on design and functionality, our team took a back-end approach to ensuring ORR's biggest focuses were met from a web design standpoint. With the keystone of their biggest campaign at the forefront, the approach to help increase awareness and participation with the series took a more analytical and "ease of use" nature. Our web team took a deep look at the details from our previous year's seminar series and built upon a new approach that focused on the user experience. The seminar series landing page itself received a major overhaul to not only attract more registrants but to feature intuitive design items that made it easier for someone to register for the city they wanted (all while decreasing page length for optimization and use). Utilizing an "isotope style" module, it made registering for each seminar a breeze with the simple click of a button. All the while, it brought a design element that was sleek and made perfect sense for the two areas of segmentation; seminar by state, and seminar by month of occurrence. Image based, SMART CTA's that helped give a better visual to the potential audience. These CTA's not only showed city skylines based on the seminar location but by making them SMART, we automated the reporting process by having CTA's show up for specific promotional areas to ensure reporting accuracy. Tracked print & sales specific ads that adhered to the traditional marketing tactics ORR used in years past, but with a twist. Our teams wanted to get super deep registration reports for future strategies to understand what worked and what didn't. ORR doesn't want to stray too far from their historic promotional strategies, nor did we want them to because they were effective. But, what we did influence was the tracking URL's and design elements to ensure we tracked registrants that came in through the traditional print ad, or the sales team PDF that they would send to high-level prospects and clients! Geo-targeted Pay-Per-Click campaign, a promotional area that has performed poorly in the past was completely scrapped and rebuilt. A seminar series that goes to 19 cities, and has shown stats that people within 25-50 miles of the seminar are likely to attend, we developed a specific geo-targeted campaign with consistent branding and design elements found around the seminar series. Seminar "Vlog" Teasers taken from the full seminar recording from 2016, our team broke down the footage into 4-5 minute segments that talked about specific points, we unveiled these transcribed and tracked pieces on a weekly basis with a CTA to register for the upcoming seminar series as well. Vendor referral promotion links and CTA's that we provided ORR's premiere vendor's to help expand awareness and eyeballs on this educational series. On top of the links to register, we did a bit of cross-promotion with a few industry leaders via a blog post, that they in turn added to their site and blog. Registration reminder videos that provided a two-pronged approach. One, to remind registrants weeks and days in advance that their seminar is upcoming, also asking trivia questions and leading them to follow ORR on social media. And two, to refer friends and colleagues in the industry to register and attend with them! Frequent promotional emails both through HubSpot and Constant contact, with SMART content detailed to lists of previous registrants and attendees as well as contacts that fit the mold industries we are targeting, but have never attended before. Hear from Zach Nelson about how it all came together. The avenues to register were numerous, and ultimately one of the more difficult tactics to solve for. Our tactics derived from setting up specific campaigns in the HubSpot tool, creating unique tracking links for each area someone could possibly register by, and then connecting them to similar registration areas in the Eventbrite tool. The final step was creating SMART CTA's that were inserted into the seminar series site page, so that based on where someone accessed a link to register, the seminar site page would populate the corresponding SMART CTA with the proper tracking code (invisible to registrants, but visual to our teams). This web of set-up led to deeper awareness of our audience, and it saved countless hours of registrant reporting in the long run. From years previous, one of the seminar contingencies was the ability to qualify registrants when they did exactly that. Before we were reliant on "at event" qualification based on conversation and manual "during seminar" sheet fill out. This led to a scramble to speak to qualified attendees during the last 90 minutes of the seminar. Sometimes sales team members would be overwhelmed with the number of prospects they needed to speak to at the show. This year, we took a new approach to not only being able to qualify registrants ahead of time to expand potential but being able to schedule proper touch points with prospects well ahead of the date of the seminar they registered for. This came in the simple addition of qualifying questions on the registration form, versus waiting until the date of the show to begin the qualification process. Within our Eventbrite registration form, we added two simple questions allowing us to qualify potential attendees well ahead of the actual seminar. This enabled the sales team to reach out and interact with these prospects to gauge interest, and potentially lead to conversations that were deeper than previously experienced. In year's past, ORR finished their major seminar series at the end of May. Until the following winter, their time was spent building and planning for the following years' series. One of the key components when we discussed the outlook for 2017 was the longevity of the education, and potential lead generation so we had no lulls in performance. There was no hesitation when we ultimately decided on an "encore" or follow-up webinar series. One crux to the seminar series is it relies on "in-person" participation to gain timely knowledge in the fire protection industry. Albeit a unique way to learn, we decided that there were too many variables that kept potential high-stake companies from attending. 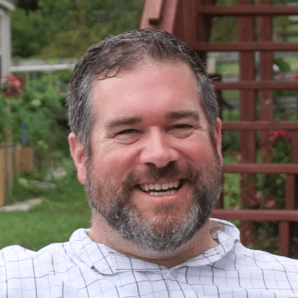 The birth of the encore webinar series was one that allowed both ORR and Revenue River to expand potential beyond the 6-month seminar time frame and, on top of that, participation was as easy as viewing from your own work or home computer. Using GoToWebinar and its native integration with HubSpot, we didn't sit back after the seminar series ended, rather we went right into strategy and promotion for the encore webinar series. This allowed registrants a second chance to gain knowledge to what was taught in the seminar series. Aside from it being completely digital, we structured the webinar series in the same pretense as the seminar, so there were no loops or difference in the registration and participation process. One of the biggest things we've been able to do is use digital marketing all year long to promote the seminar series. 90% increase in seminar registrants from 2013-2017 to nearly 1,300 industry professionals, the largest registrant pool in seminar history. 57% of all 2017 registrants came from email, blogging, and social media marketing efforts. Pay-Per-Click registrants went from 1 in 2016, to 48 in 2017 through a targeted geo-based campaign. 40% increase in attendees from 2013-2017 to nearly 800 industry professionals, the largest attendance number in seminar history. 53% of all 2017 attendees came from email, blogging, and social media marketing efforts. Increased qualified lead generation by 454% since tracking existed in 2016 to over 700, the largest qualified lead pool in seminar series history. Revenue growth from 2015 to 2016 was 12.2%, and expected revenue growth from 2016 to 2017 is around 18%. As you can see, there is a major focus on timely events, whether it's attending the live seminar series or encore webinars. But the inbound promotion didn't stop with the successful execution of these live events. After both, we had the potential to insert important pieces of content (via On-Demand Webcasts and Vlog pieces) from all the recordings for these milestones. In typical inbound fashion, we took the recordings from the recorded webinars, and offered them as content pieces for all registrants, whether they attended either series or not. On top of that, these webcasts are now featured prominently on ORR Protection's resources page to continue lead generation for contacts who have never heard of what ORR is doing in the fire protection space. The philosophy isn't to hide this content, but rather garner awareness and excitement for the following years. 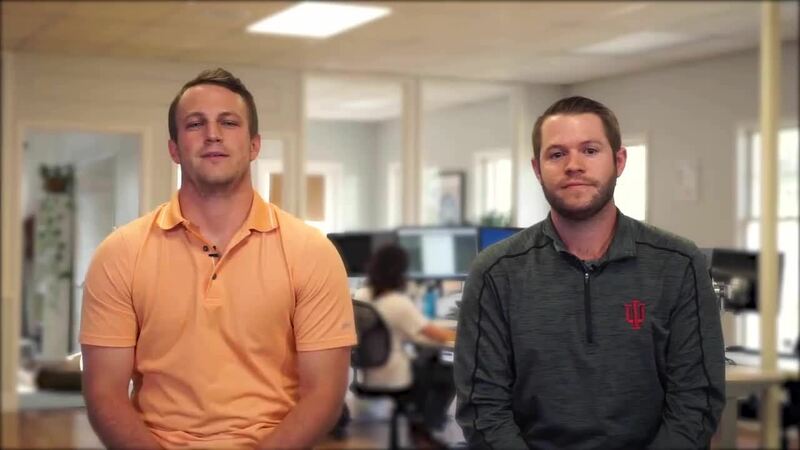 The recordings not only provide key lead generation points but also provide valuable blog content in the form of 4-5 minute video cuts from the live seminar series, that are transcribed onto ORR Protection's blog. Taking their traditional marketing approach digital has proved to be a successful move across ORR's entire campaign. The relationship and trust that has been built to suggest new approaches and ideas have directly resulted in the growth and success that have been touched on. With ORR's 2017 fiscal year wrapping up in September, Zach Nelson, ORR's Corporate Marketing Director states, "With the record registrants and attendees for our 2017 seminar series, we are expecting those records to flow into sales directly related to the series with an 18% increase in revenue generated over 2016, which was a 12.2% over 2015." If you are looking to take your campaign to new inbound heights, or expand your system's capabilities through key integrations and tools, reach out to Revenue River by clicking here or filling out the form below! Put our marketing team to work on your campaign goals today. 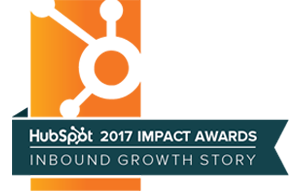 Watch our team's acceptance video for the inbound growth award.